Note: A minimum quantity of 564 must be ordered, and in units of 12 thereafter. 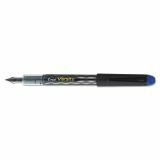 Pilot Varsity Fountain Pen, Medium 1mm, Blue Ink, Gray Pattern Wrap Barrel - No-maintenance fountain pen is completely disposable, convenient and easy to use. 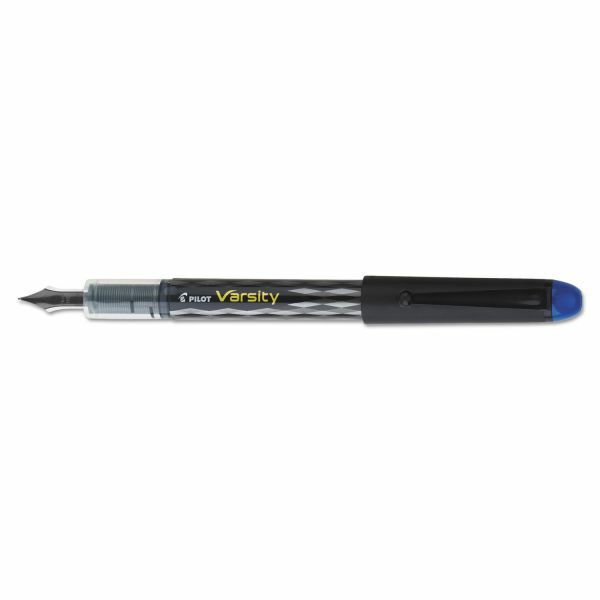 Innovative, pure liquid ink technology ensures an exceptionally smooth stroke. 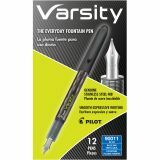 Genuine stainless steel nib writes a crisp, clean fine line. Retro-styled barrel offers a visible ink supply.